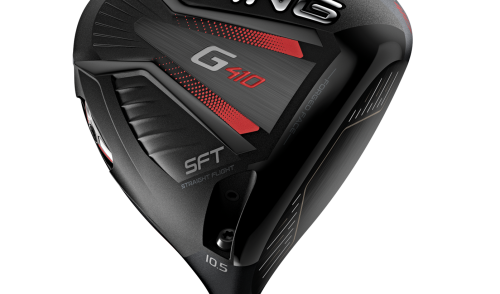 We’ve written at length about the benefits of clubfitting and video/computer technology in relation to choosing the right equipment for your game. In a nutshell, if you’re going to get a new set of sticks – regardless of your skill or ability — it is an absolute MUST that you fit your clubs to your game. No question. Clubfitting has come a long way over the last few years, with launch monitors, video technology and clubfitting experts guiding you along the way. But recently, TaylorMade launched a new technology that may represent the future of consumer clubfitting. 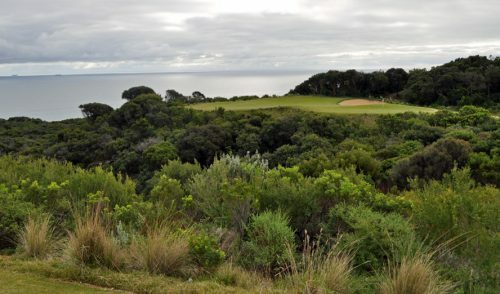 Last month, I ventured to the brand-new TaylorMade Performance Lab (TMPL), recently opened at the wonderful Melbourne Golf Academy, to test out this new technology. As you enter through the futuristic, James-Bond-like vault/door, you’re greeted by an array of high-tech computers, monitors and 3D cameras, all surrounding a synthetic mat and practice net. And while at first glance it may seem similar to other clubfitting setups, the technology behind this system is a real game-changer. The first difference you’ll note is the absence of standard launch monitors (the radar-driven technology that many of today’s clubfitters use to measure ball speed, spin, angles, etc). 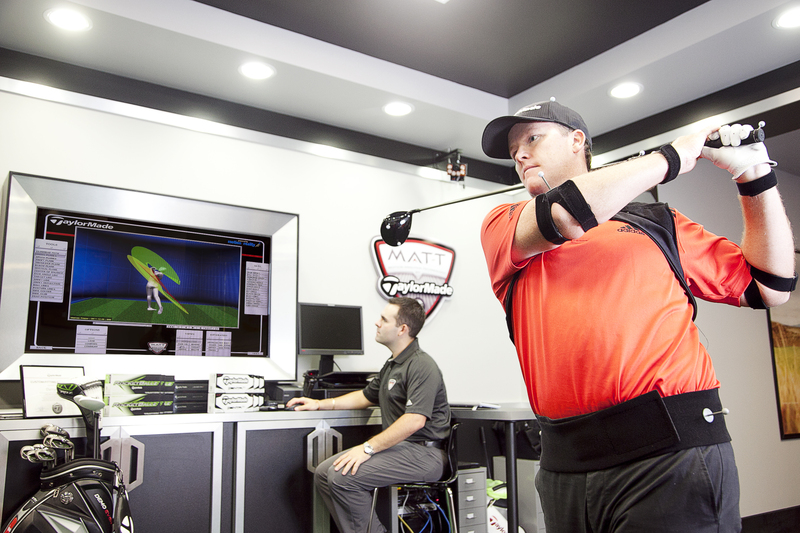 Instead, TaylorMade’s Lab cranks it up a notch, and uses a system called MAT-T (Motion Analysis Technology by TaylorMade). This 3D motion capture technology is similar to what videogame makers use when capturing Tiger Woods’ swing, or when filmmakers create Computer Generated Imagery (CGI) for movies like Star Wars or Lord of the Rings. 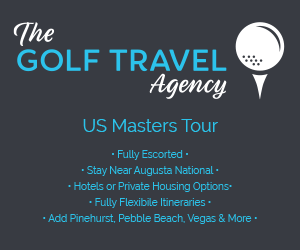 Since 2003, it has been used on TOUR to tailor clubs for PGA professionals like Sergio Garcia, Dustin Johnson, Retief Goosen and others. 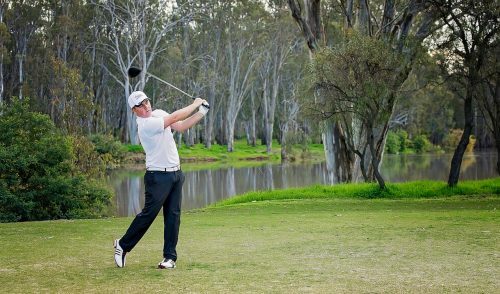 Australian professionals Marcus Fraser and Brett Ogle have recently tried the system at MGA, and they were extremely impressed with the technology. And now, it’s available for the everyday golfer. In essence, you are fitted with a special ‘suit’ that has a bunch of little dots (“Reflective markers”) at strategic points of your body (Knees, shoulders, head, etc) as well as on the club itself. As you take a swing, a collection of high-speed cameras capture the movement of these dots, then relay it to a highly-sophisticated computer. 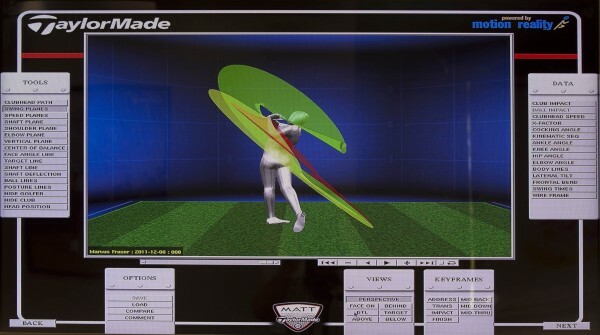 The computer instantly crunches all the numbers (and there are a LOT of numbers here) and shows a true Real-time, 3D computer-generated representation of your swing from multiple angles – including your full swing plane , speed, angle of attack, impact, etc. While this may sound a bit over technical to the casual golfer, it is pure gold to a professional clubfitter or coach, and represents a new way of examining a golf swing. Whereas traditional launch monitors measure everything that happens AFTER impact with the ball –and then work backwards to extrapolate what might have occurred in your swing before impact — the 3D motion capture of TaylorMade’s system sees exactly what is happing in your swing BEFORE and DURING impact, which TaylorMade believe is a more accurate representation of a golfer’s swing. Armed with this knowledge, the clubfitter or pro can make a more informed decision and recommendations for every club in your bag – from Driver down to putter. The putting system is also extremely innovative. Using different putters (i.e. mallet, traditional, face-balanced, etc) you can see exactly which type of putter is best for your type of putting style – whether your stroke is square-to-square, open-square-closed, etc). It also shows exact impact points on the putterface, and can actually predict which type of putter is best for your game. In my case, the system was spot on: When I tried the putter it recommended for my stroke, I sank 4 out of 5 putts (the fifth was dead-centre, but short). A much better result than the 1/5 with a different putter. Yes, the system is that good. If you’re in the Melbourne area, and you’re looking for a set of clubs, then you owe it to yourself to try the TaylorMade Performance Lab. 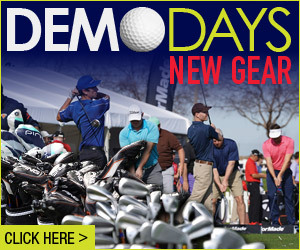 It will open your eyes to a new world of clubfitting. 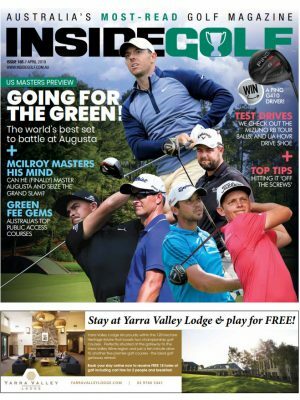 Inside Golf and TaylorMade are offering 3 lucky Melbourne Area readers a free testing and complete evaluation of their swing at the new TaylorMade Performance Lab (a $150 value). Simply fill out the form below, and you’ll be entered into the draw. This competition is closed. Winners: Craig Clark, George Beattie, Are Knutsen. 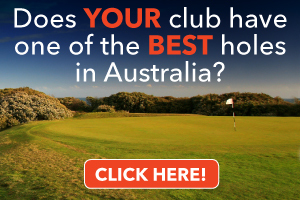 2 Responses to "Inside the new TaylorMade Performance Lab"
I am in the sth east suburbs of melb and would like to try this to see what would be the best clubs for me. I have a set of henry grifiths that i bought from my pro at southern golf club in 2009. i have been happy with them but there was no technology used other than seans i which i trust. I have been looking for a better driver. I have had the strength changed which has helped but it is still inconsistent which may be me but i think this may help me to find out together with the rest of the clubs in my bag. Can you please let me know how i go about bookink in and where you are.